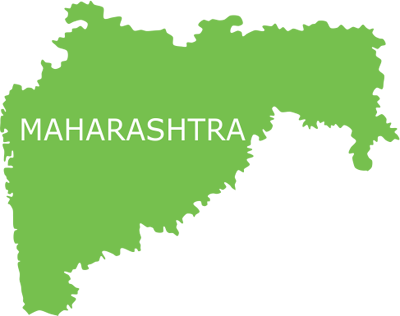 Mumbai, the capital of Maharashtra is the most populous metropolitan city in the country. Being home to the world’s largest film industry, and several manufacturing industries, the city attracts immigrants from all over the country. Over the past few decades, Mumbai has witnessed a steep rise in terms of economy, education and infrastructure. But like all the other rapidly growing cities, Mumbai also suffers from major urbanisation issues. While the city is progressing, the major part of the population living in the slum areas lies neglected in their poor conditions. Some of the issues of concern include rising population, poverty, unemployment, poor public health, and poor civic and educational standards. The dismal health conditions have lead to an alarming increase in diseases like malaria, dengue, diarrhoea, typhoid, TB and HIV. The modern healthcare services available in the city remain inaccessible to the slum population. In order to take care of the healthcare needs of the underprivileged population, Smile intervened and launched a Smile on Wheels project in Mumbai. The project was initiated in May 2013, with support from Shakuntalam Charitable Foundation. Key issues of concern were identified, and were found out to be rising population in the slums, poor health and sanitation, and no access to medical services. A lack of awareness among the people further worsened the condition. This called for an approach that would not only deliver proper medical services in the slums but also enlighten them on the benefits of healthy practices. Children, mothers and daily wage labourers are the main focus of the project. Smile Foundation’s initiative has been heartily welcomed and appreciated by the community. Youth mandals of the targeted areas have displayed banners informing the locals about the project. The team of volunteers working for the project has been growing ever since the inception of the project and now they are called “Wheel of Smile” by the project team. 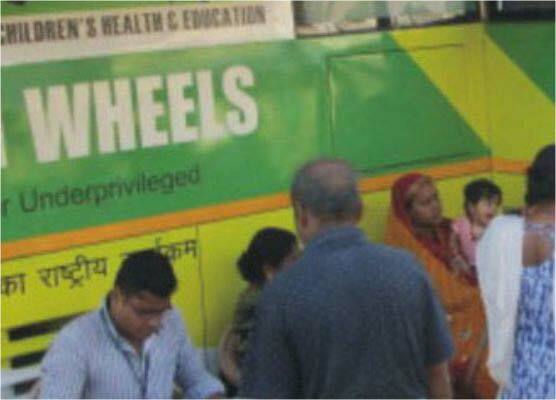 Mobile health clinic launched to provide primary preventive and curative healthcare services to the underprivileged. The clinic comes equipped with the latest medical equipment and a competent medical staff. Also, present in the clinic are audio visual aids used to spread awareness in the villages. Doorstep medical facilities provided under the project covered the slums of Andheri, Malwani, Kalina, Vakhola, Dindoshi, Khardanda, Behramnagar Khar, Hanuman Takeri and Film City. As per the treatment requirements, patients are referred to public and private health institutions whenever required. Mass awareness campaigns include activities like rallies, street plays and community meetings. Distribution of pamphlets, display of posters, wall writing, and conducting audio visual sessions were some of the activities conducted in this regard. Targeting specific community groups, the project team uses innovative ideas like the School Health programme to promote a health seeking behaviour among the school going children.